Do Mormons Believe in Abortion? Mormon beliefs teach that all of life comes from God. He is the literal Father of our spirits. The ability to create life on earth is a sacred responsibility, and therefore, Mormons are opposed to abortion in all but a very few limited circumstances. To clarify this concept, we can learn from the astronaut. Any time during the selection process, planning, and preparation, he is free to withdraw. But once the powerful rocket fuel is ignited, he is no longer free to choose. Now he is bound by the consequences of his choice. Even if difficulties develop and he might wish otherwise, the choice made was sealed by action. So it is with those who would tamper with the God-given power of procreation. They are free to think and plan otherwise, but their choice is sealed by action. The woman’s choice for her own body does not validate choice for the body of another. The expression “terminate the pregnancy” applies literally only to the woman. The consequence of terminating the fetus therein involves the body and very life of another. These two individuals have separate brains, separate hearts, and separate circulatory systems. To pretend that there is no child and no life there is to deny reality. It is not a question of when “meaningful life” begins or when the spirit “quickens” the body. In the biological sciences, it is known that life begins when two germ cells unite to become one cell, bringing together twenty-three chromosomes from both the father and from the mother. These chromosomes contain thousands of genes. In a marvelous process involving a combination of genetic coding by which all the basic human characteristics of the unborn person are established, a new DNA complex is formed. A continuum of growth results in a new human being. The onset of life is not a debatable issue, but a fact of science. Approximately twenty-two days after the two cells have united, a little heart begins to beat. 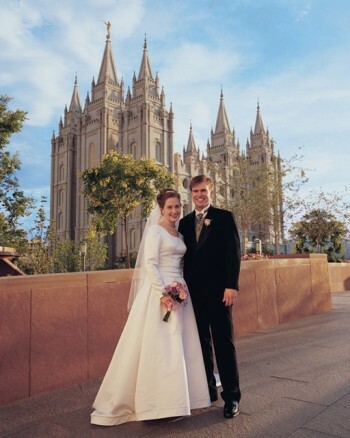 At twenty-six days the circulation of blood begins.–Russell M. Nelson, “Ensign, May 1985″ Reverence for Life,” 11 Mormons have a great reverence for life at every stage, before birth, during life, and after life ends on earth. Their stance on abortion is a seamless part of their respect for eternal life and their love for God, who creates all life.